Vibration, Rust and Corrosion shorten bearing life. InnoFlex® bearing housings eliminate rust and corrosion. 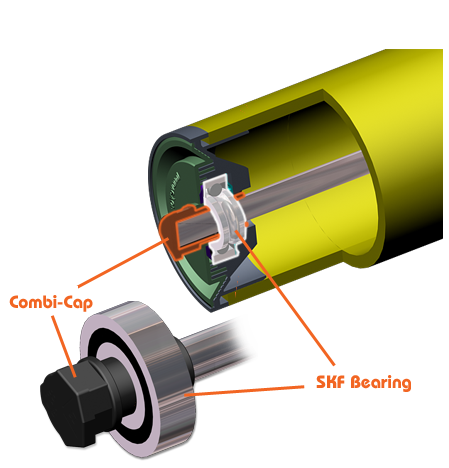 With the InnoFlex®bearing housing, the SKF/Peer Metric ball bearings sit on top of the Combi-Cap shaft protector and not directly on the metal shaft. between the shaft and bearing.